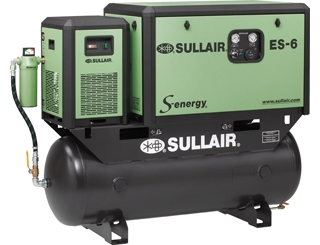 ES-6 compressors offer Sullair reliability in the most compact, most robust, most maintenance-friendly and quietest compressor package available on the market. Multiple features of the ES-6 Series revolutionize the compressor’s serviceability and provide for a cleaner, safer work environment and cost effective compressor. Standard maintenance can all be performed from one side. P.O. Box, 18986-00500, Nairobi, Kenya.